Toby MOSKOWITZ: I would say most things that we think are true do turn out to be true. Not always for the reasons we think. Toby Moskowitz is an economist who teaches at the Yale School of Management. DUBNER: You have won a really prestigious academic award as one of the top finance scholars in the world. Why do you mess around with sports? MOSKOWITZ: It’s called tenure. They can’t fire me. No, one of the things I tell my students all the time is, “Don’t go into this business unless you really love what you research.” So, sports has always intrigued me, and to be a little bit more serious — a lot of what I study is behavioral economics, and how people make decisions when faced with a lot of uncertainty. Sports is just a really rich field to look at those kinds of things. This is a true fact. It’s why a lot of economists mess around in sports. It’s why you see a lot of sports-themed academic journals and conferences. Sports may not be nearly as important as education or healthcare or politics. But when you do research in those areas, it can be really hard to establish cause and effect; there are so many inputs of so many different types, and such hard-to-measure outputs. Furthermore, the incentives in education and healthcare and politics are often opaque — or, worse, twisted. In sports, the incentives are usually transparent, the results are clean, and if you like data — as economists do — well, sports provides boatloads of data. Most of which happens to be neatly categorized and extend back for decades. Toby Moskowitz, along with Jon Wertheim, wrote a book taking advantage of these data. It’s called Scorecasting. In it, they challenge some of the most fundamental beliefs in sports. For instance: does defense really win championships, as N.F.L. pundits like to say, especially around this time of year? (Short answer: no.) What’s the biggest reason for home-field advantage? (Short answer: involuntary referee bias.) And what’s the real story behind one of the most compelling elements of sports: the hot streak? MOSKOWITZ: There’s a huge academic literature on this. So, as an example, a player in the N.B.A. who’s hit a couple of shots in a row, his teammates will start feeding him the ball more. His coach will give him the ball more and he’ll start taking more shots as a result. There’s this belief that they’re hot. MOSKOWITZ: If you look at the actual evidence, you find either zero or something very close to zero in terms of predictability. It’s just a bad strategy. Other scholars, we should note, challenge this conclusion. They argue that there is some evidence for the hot-hand theory. Where does Moskowitz land? MOSKOWITZ: I’ll sum it up in the following way, which is our beliefs in streaks are much stronger than the data actually supports. DUBNER: But don’t we know that confidence is a big contributor to good performance in any realm, and wouldn’t past success in sport contribute to greater confidence, which would then contribute to greater future success? MOSKOWITZ: That’s the theory, but the evidence is that it just doesn’t show up. You could say, “Well, it’s hard to measure, right?” Because take my example of the N.B.A. shooter. “If they’re taking more shots or the defense tightens on them, it’s not the same experiment.” I agree. However, there have been experiments run where it’s a perfectly controlled experiment, and what was really interesting is that players who hit a couple of shots in a row did indeed remark that they felt more confident, that their mechanics felt good that day, they felt good. But the predictive value was absolutely zero. J.J. REDICK: I am familiar with that study. I also did a version of this hot-hand study on my own. That is not another economist. That’s the Philadelphia 76ers’ J.J. Redick, who’s played in the N.B.A. since 2006. Redick ranks No. 6 among active players in career three-point shooting percentage. The study he did was for a statistics class at Duke, where he played his college ball, and where Redick is still their all-time leading scorer. REDICK: I went in the gym and I did four or five workouts where I would shoot 100 or 200 shots, and I would get to the point where I was in a rhythm. And I would note if I have a hot hand and I would record the result of the next shot. And I came to the exact same conclusion, that it is a fallacy. Of course, measuring the hot hand idea in practice, or even an experiment, is different from what happens during a game, with people watching — millions of people if you’re an N.B.A. player. N.B.A. ANNOUNCER: It’s good! He’s as hot as a blowtorch! That’s a heat check, you know that was coming. It’s heat-check time. REDICK: There’s got to be an element of true belief in yourself that every shot you take is going to go in, whether that’s rational or irrational. You just have to believe that. You cannot play a professional sport and be hesitant. “You cannot play a professional sport and be hesitant.” “You just have to believe.” Whether it’s rational or not. Today on Freakonomics Radio: the latest installment in a series we’re calling “The Hidden Side of Sports.” In the first episode, we looked at how sports have throughout history mirrored society — which may explain why we care so much about an industry that dollar-wise, is actually quite small. In episode two, we looked at the economics of a single N.F.L. franchise, the San Francisco 49ers, who’ve been trying to recover from a debilitating losing streak. The third episode was called “Here’s Why You’re Not an Elite Athlete.” We looked at all the things that have to go right for an aspiring athlete — from talent to coaching to luck. Today: the mental side of sports. How do athletes prepare for high-stakes situations? How do they recover when things go wrong? How do they develop a winning strategy when they know their opponent is thinking the same thing? We’ll hear from a mental-skills coach, athletes, and, of course, we’ll hear from some of our favorite economists. It’s natural enough to see elite athletes as finely tuned machines, like a BMW or a fighter jet. For starters, they’re usually bigger, faster, and stronger than the rest of us. Some of them, like Olympic gymnasts, are competing on a global stage at an age when most people are still struggling with acne. Also, even in sports that require over-the-top physical power — think of a clean-and-jerk in weightlifting or a brutal scrum in rugby — there’s a graceful element that, to the casual observer, can look nearly effortless. All these factors conspire to persuade us that an athletic endeavor is an almost purely physical endeavor; it’s easy to neglect what may be happening in the athlete’s mind. But if you talk to enough athletes and coaches and others, you discover that’s where a massive share of their energy is going. Bob TEWKSBURY: I think developing a mental game plan is important for consistent success or consistent performance. TEWKSBURY: I am the mental-skills coach for the San Francisco Giants. DUBNER: And just give me in a nutshell your major league career as a pitcher yourself. TEWKSBURY: I pitched in the major leagues from 1986 to 1998 with six different teams. I won 110 major league games, lost 102, had two arm surgeries, seven demotions, made an All-Star team, and experienced just about everything. Tewksbury recently wrote a book called Ninety Percent Mental. He did not have such a long major league career because he threw the ball so hard. His success was rooted in control, and accuracy: Tewksbury had one of the lowest ratios of walks-per-nine-innings in baseball history. TEWKSBURY: Correct. People know the strikeout people, but they don’t know the guys that don’t walk people. When he retired, Tewksbury got a master’s degree from Boston University in sports psychology and counseling. He got his first coaching job with the Boston Red Sox; that year, they won the World Series for the first time since 1918. JOE BUCK: The Boston Red Sox are World Champions! TEWKSBURY: Confidence is a choice. A lot of people think it’s a feeling. But if you wait for that feeling, it may never come. “Confidence is a choice.” That seems intuitive enough, maybe even obvious. But it’s remarkable how easily even an elite athlete can get derailed. There’s also the voice inside your head. Shawn Johnson is a four-time Olympic medalist in gymnastics. Johnson is 26 now; she’s been retired for years. JOHNSON: I am terrified of gymnastics. I would never get up on a balance beam now and try to flip. I would hurt myself. Anybody in the world can be trained physically for an Olympic event. You can train your body to do it. Now training your mind is the hardest part because learning to overcome fear, learning to push aside thoughts that are negative, and still take that risk of injury, or of failure, or of falling on your face in front of the entire world, is really difficult to do. Kerri WALSH JENNINGS: I was so afraid of losing. That’s Kerri Walsh Jennings, one of the best beach volleyball players in history. She has three Olympic gold medals. But it’s a bronze medal, a third-place finish, that haunts her from the 2016 Olympics in Rio. Because it never came, and because Walsh Jennings went home with bronze instead of gold, she’s preparing for another Olympics. But since Rio, the insecurities are still there. WALSH JENNINGS: It’s exhausting. It’s really exhausting. Ever since then, I’m letting go of living in fear of that happening again. It’s been messy and sad and nonsensical, because one match should not define anyone. One bad performance in life — if you’re a doctor, a wife, an athlete, it should not define you. But I allowed it to define me. And I’m still working my way through it. I’m almost there. That feeling Walsh Jennings experienced in Rio — of desperately waiting for the “real you” to show up, the you who’s practiced for thousands of hours and excelled at every level — that feeling is not rare. Consider the recently retired baseball player Mark Teixeira. It’s worth mentioning that Teixeira was not a borderline Major League player. He won all sorts of offensive and defensive awards, he won a World Series with the Yankees, and he hit 409 career home runs — No. 54 on the all-time list. But the line between success and failure was always right in front of him. TEIXEIRA: Hitting a baseball is still the hardest thing to do in sports. You have guys on the mound that are trying to get you out. And if you’re off a little bit mechanically, mentally, confidence-wise, and he’s on — you can have some bad nights. We were surprised at how often the word “fear” came up in our interviews with athletes. It’s another dimension on which we think athletes are so different from us — that they’re somehow fearless. Plainly, they’re not. But they do try to fake it. Doug PEDERSON: Having a fearless mentality — I coach that way. I tried to play that way. You can’t live with fear. Doug Pederson is head coach of the Philadelphia Eagles. PEDERSON: It just can paralyze you, and you’re not going to have success in life. Pederson spends a lot of time helping players mute that fear — or, better, crush it.The Eagles last year made the Super Bowl, and faced the New England Patriots. The Patriots, led by coach Bill Belichick and quarterback Tom Brady, had made it to eight Super Bowls since 2001 and they’d won five. So, a fairly intimidating team. But in the days leading up to the game, Pederson made sure his team did not think about that. PEDERSON: We didn’t focus ourselves on the Patriots and worry about all the mystique because again, it’s fear. It’s going to paralyze you. If that’s what you’re worried about you’re not going to be able to play. The Eagles, who had won zero Super Bowls, were underdogs. Just before kickoff, Pederson had a quick greeting with the opposing coach. PEDERSON: I had just briefly met Coach Belichick in the past and that was really our first time to spend a minute together, and we basically just congratulated each other on our seasons and wished each other the best for the game. Bill BELICHICK: Coach, congratulations. Hell of a year. PEDERSON: But at the same time, internally, I was just thinking, he just had no idea what’s coming. Not saying they overlooked us, but that feeling can creep in. I was so confident in our guys and our coaches that I just felt that he had no idea. PEDERSON: Alright everybody’s up, everybody up, everybody up, everybody up. Come on, 7, let’s go baby, let’s go, let’s go, let’s go. Pederson’s fearlessness was made manifest toward the end of the first half. The Eagles had a small lead and a fourth-and-goal from about one-and-a-half yards out. The safe play, probably the smart play, was to kick a field goal. Pederson decided to go for the touchdown. Cris COLLINSWORTH: This is an unbelievable call. This could decide the game. ANNOUNCER: People say you’ve got to be daring to beat the Patriots on this stage, and Doug Pederson certainly showing a lot of confidence in his offense. On the sideline, quarterback Nick Foles approaches Pederson to suggest a play. Nick FOLES: You want “Philly Philly”? PEDERSON: Yeah, let’s do it, let’s do it. “Philly Philly,” or what would come to be known as “Philly Special,” was a trick play, the thing you draw up in your backyard on Thanksgiving. But it turned out alright. Al MICHAELS: Caught. Foles. Touchdown! How do you figure?! COLLINSWORTH: Breathtaking. In a Super Bowl, that’s a breathtaking call. You don’t make that, that one’s second-guessed forever. PEDERSON: It’s definitely going to go down as one of the greatest Super Bowl memories. … they had the ball near midfield facing another fourth down. MICHAELS: For the moment they’re going to leave the offense on the field. Do you dare? PEDERSON: There was just six minutes or so left in the game, and if you remember the Patriots didn’t punt a single time in the football game. We were struggling to stop them and I just knew there’s no way I’m going to punt this football and give Tom Brady the ball back where he could either run the clock out and win the game or go down and score again. So I wanted our team to control our destiny. And in my gut, I said, “This is the right time to do it.” I didn’t flinch. Called the next play on fourth down and we got it by a yard. MICHAELS: And Foles under pressure, throws, caught, just enough for the first down. PEDERSON: And we ultimately went down and scored the game-winning touchdown. Merrill REESE: The Philadelphia Eagles are Super Bowl Champions! TEWKSBURY: Developing a mental game plan is important for consistent success. Okay, so the mental game plan starts when? TEWKSBURY: It starts with the preparation. What time do you get up, what time do you eat lunch, what time do you go to the ballpark? What do you do when you’re at the ballpark? And more specifically as you get closer to game time, what do you do from a mental perspective? Jon Lester uses a concentration grid. Jon Lester, whom Tewksbury coached with the Red Sox, has been one of the better pitchers in baseball for many years. TEWKSBURY: He’s channeling his mind to get ready to perform. In the transition away from the day to getting ready to pitch, he needs to make his world a little bit smaller. That leads into using the imagery program of seeing himself perform and doing pregame rehearsal of the lineup that he’s going to face. Imagery happens better when you are relaxed, through the breathing exercises, and then the imagery starts. When he goes out to warm up, he can recall those images of what he wants to do with the baseball. Now it’s time for what Tewksbury says is one of the most important components of the mental game: self-talk. TEWKSBURY: I like to have affirmations or mantras, essentially, that players can use in performance when things start to go awry. I call them anchor statements, and those anchors would be: “See it, feel it, trust it.” “Smooth and easy.” “I got all it takes to beat the competition.” “One pitch at a time.” What you say to yourself, how that little man affects performance, how to understand it, change it, correct it, minimize it, and move forward. Without them, your performance could get swept away like a boat in the ocean. Brandon McCARTHY: I do think there is something to that. That’s Brandon McCarthy, who just retired after pitching in the major leagues for 13 years. McCARTHY: Once the ball’s coming back from the catcher, you’re still doing a quick breakdown of what just happened. Then it’s slowing down my breathing, getting myself back to simply focusing on the execution and at times that’s been based on having a little mantra. “Good direction, good angle, quality pitch.” And you just say that a few times and it’s something that calms the mind and enhances some of the delivery things that I’m working on. REDICK: The mind has incredible power. REDICK: The mind is as big of a separator for professional athletes as any physical tools or physical liabilities that a player may have. He’s been doing some form of self-talk for many, many years. REDICK: From ages 8 to 12, it was a lot of imagination. It was a lot of playing imaginary games. REDICK: We were down 15 points with 10 minutes to go. I blacked out and just went crazy in the last 10 minutes and had 23 points. ANNOUNCER: Fires a three, made it! Holy cow he made another! Are you ready to change your M.V.P. vote? J J Redick, putting a show on! Robbie GOULD: When you’re young, you want to kick a bunch of footballs to figure it out. That’s Robbie Gould of the San Francisco 49ers. He’s one of the best kickers in N.F.L. history. DUBNER: Last year, you missed one field goal? DUBNER: Two. So 30-for-32 or something? Gould says N.F.L. kickers spend most of their time not kicking footballs. GOULD: You can take mental reps so that way you’re not using your leg, because every kick that you take is a kick off your career. So the more that you visualize, the more that you mentally go through situations, and you talk through situations, it makes those situations easier, and you’re not wasting reps. This preparation doesn’t just happen during the workday, but also at home. GOULD: I’ll get home about 5:30, I’ll have dinner with my family, I’ll play with my kids, do bath time, read them a book, and then put them down. Once they go to sleep, then I’ll pull out my iPad, start watching film, going over game plans, going over what we might have to do that week, whether it’s weather, playing in a certain place with crowd noise, or something that happened in practice. You’re just always thinking of ways to make yourself better. On some dimensions, making yourself better as an athlete has never been easier. Like the rest of the modern world, sports are undergoing a revolution in data analytics — aren’t they? MOSKOWITZ: Look, to say that data analytics is revolutionary is a bit strong. I view it more as evolutionary. The Yale economist Toby Moskowitz again. MOSKOWITZ: What you’re trying to do is make a judgment. That judgment is based on intuition, it’s based on theory, as well as it’s got to be based on data. That’s what science is. Every good science is a combination of both. So how much do the athletes partake in this data evolution? WALSH JENNINGS: We have heat maps. There’s two applications that break down where every serve is coming from, how a hitter does when she gets served in the middle or short or wide, and we watch a ton of video. So all of that is happening. WALSH JENNINGS: I do not do well with all of that sensory input. I want to feel it, and certainly know their tendencies, but that’s where I want to finish it. I don’t need to know the rest. REDICK: I ration data to myself. I don’t let myself read all of it. REDICK: If you’re obsessing about these numbers on a daily basis in the middle of the season, I’m just going to be honest, I’m a little bit of a head case. I don’t want to be in the middle of a game going to my left and saying, “Wow, this shot is 15 percentage points worse than if I was on the other side.” You just can’t do that. REDICK: I’ll look at all of that data for the people that I guard. REDICK: If you run him off the line and he has to take a pull-up two or a runner, a floater, 5–7 feet from the basket, this guy was shooting low 30’s. REDICK: For the whole series, I didn’t care if he beat me off the dribble at all. And he shot 27 percent from two for the series. So I did my job. That’s an example where you used the data available and it works. The sport that’s seen the most use of data for the longest time is baseball. That’s partly because some of the early data nerds happened to be baseball fans. But also, the sport lends itself to analysis: every pitch, every at-bat, every ball put in play is an independent action that can be independently measured. Even though there are nine players on a team, they don’t interact with anything like the complexity of players in football or soccer or basketball or hockey. One obvious change in baseball, facilitated by data, is how a manager will shift his defense in response to the opposing batter’s tendencies. Toward the end of his career, Mark Teixeira suffered from this change: once teams knew exactly where he was most likely to hit the ball, they would shift their defenses; what used to be a ground-ball single up the middle was now an easy out. DUBNER: I’m curious the degree to which you think that rise in analytics and the use of the shift was a contributing factor to your decline and how much of it was just the natural cycle of an aging baseball player. 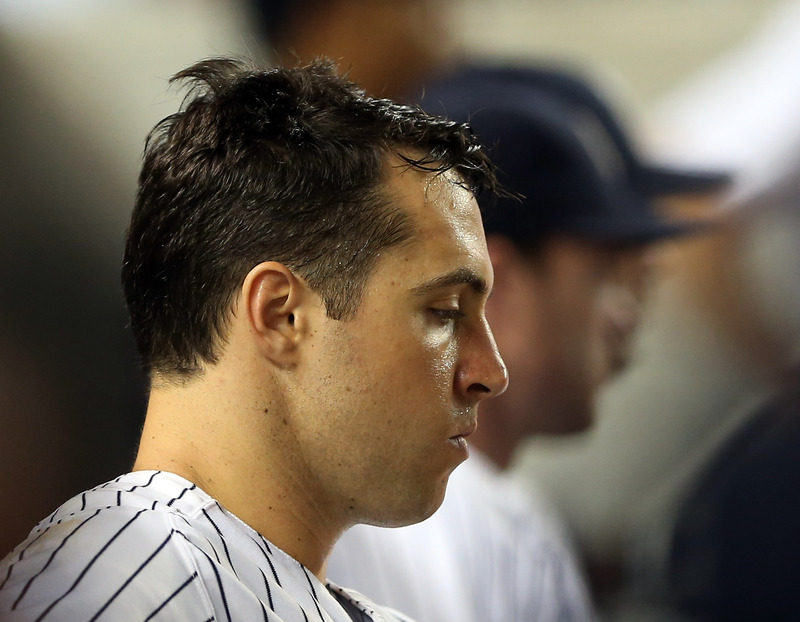 Mark TEIXEIRA: It’s probably 70/30, just the natural age. Without analytics I still would be retired. Analytics doesn’t make your wrist blow out. Analytics doesn’t make you tear up your knee. But I would say that analytics took numbers that should have been better and decreased them. DUBNER: What are some ways that you benefited from analytics? I don’t know if you were a tape rat, if you watched a lot of tape. I’m curious whether you studied pitchers for their tendencies? TEIXEIRA: I didn’t benefit, I think, at all. I wasn’t the guy that went up there and said, “Okay, it’s 2-1, this guy is a 73 percent chance to throw a backdoor slider.” I never did that. And there’s a whole bunch of players that still don’t look at tape. We’ve been talking about the mental side of sports — so far, mostly from an internal perspective: using your mind to drive your body’s performance. But there’s a whole other, external perspective to consider: outhinking your opponent. And this gets us into what economists call game theory. Steve LEVITT: Game theory is a part of economics which is actually quite different than most of the rest of economics, because most of economics focuses on either cases where there are many, many, many people interacting, and that’s what we call perfect competition, or where there’s exactly one person, like a monopolist, interacting with many people. That’s my Freakonomics friend and co-author Steve Levitt. He teaches economics at the University of Chicago. LEVITT: But game theory is economics applied to the interactions of two or three or four or five individuals or firms or actors, and so game theory, it turns out, has very different predictions and kinds of predictions than the rest of economics. DUBNER: Levitt, would you consider yourself a sports economist? LEVITT: Absolutely not. I’ve written papers about sports, but I’ve only written about sports as a vehicle to understand bigger economic concepts. Sports happened to be a place where there’s often really good data and really well-defined and simple incentives in place, so that you can match data to incentives to try to answer questions that economists want to answer more generally. Questions about cheating, for instance. In one paper, Levitt analyzed sumo-wrestling data and found what he believed was widespread match-fixing. LEVITT: So it really looks like a quid pro quo — there’s a deal worked out where if you let me win when I really need it, the next time we meet, I’m going to throw the match and let you win. In another paper, Levitt found evidence of racial bias in the TV game show The Weakest Link — not quite a sport, I know, but other economists later did similar research and found racial bias among N.B.A. referees and major-league umpires. Levitt has also studied the details of in-game decision-making in professional sports. In a paper he co-wrote with Ken Kovash — a one-time University of Chicago research assistant, now a Cleveland Browns executive — Levitt looked at how good N.F.L. offenses are at confusing or deceiving the defense. LEVITT: We looked at whether teams are making the right choices between running plays and passing plays, and our conclusion is that we see that on average teams seem to make a mistake. The mistake is, essentially, being too predictable. LEVITT: They seem to not throw enough passes, relative to running plays. And N.F.L. teams in particular have lots of serial correlation. “Serial correlation” meaning the previous play is too predictive of the next play. Ideally, you want the play-calling to appear nearly random, to maximize the element of surprise. There are, of course, other factors to consider: if a run play fails, you’ve got more yardage to make up, which might argue in favor of a pass play. But in the final analysis, Levitt and Kovash found that teams were leaving points on the table. LEVITT: We think the stakes are really high. The magnitude of the mistakes that they made were associated with scoring an extra point a game, which doesn’t sound like much, but an extra point a game would turn into about half of a win per season, and that’s worth about $5 million a year. So it looks like roughly a $5-million-a-year mistake. Currently in the N.F.L, the number of pass plays is about 58 percent. And our belief is the optimal looks much more like 70 percent. And so there really should be dramatically more passes in the N.F.L. Levitt and Kovash also looked at a game-theory question in baseball: how well do pitchers randomize their pitches? The best way to fool a hitter is to throw a fastball when they’re expecting a curveball or a slider, or a curveball or slider when they’re expecting a fastball. Game theory in action. So, how well do major league pitchers do at defying expectations? LEVITT: It turns out, all major league pitchers, on average, there’s an enormous overabundance of fastballs being thrown. And by that I mean when pitchers throw fastballs — controlling for the situation and controlling for everything imaginable — it turns out that on average, pitchers are doing worse when they throw fastballs than when they throw curveballs or sliders. That suggests that pitchers are not doing what game theory says, which is balancing off the three different kinds of pitches. TEIXEIRA: I agree 100 percent. That, again, is former baseball star Mark Teixeira. We’d asked him about Levitt’s research showing that pitchers are too reliant on fastballs. But it’s not so simple as merely randomizing, he said. Imagine you’re the pitcher, you’ve got two strikes on the batter, and maybe also a runner on third. TEIXEIRA: The issue is you have to take the pitcher’s skill and ability to perform that skill with two strikes into account. So the pitchers that can throw curveballs and change-ups and sliders with two strikes, do it. The guys that maybe bounce that pitch or hang that pitch are going to throw fastballs. And so they’re going to get hit. So the best pitchers in baseball, they throw more sliders and curveballs and change-ups with two strikes because they can control it better. In their study, Levitt and Kovash actually did factor in pitcher quality. But, even when controlling for pitcher quality: they found too many fastballs. That was good news for a hitter like Teixeira. TEIXEIRA: My entire career was based on not getting me to chase the curve balls and the sliders in the dirt, and having to come with a fastball over the middle of the plate. That was the style of hitter that I was. Knowing about this fastball surplus would be especially useful if you are, say, the general manager of a baseball team. Well, they didn’t do that either. Instead, they stuck with their current catcher, who called the highest share of fastballs of any catcher in the league. This disconnect between the data and behavior suggests a few things. The first is that decision-making in sports, while trending toward the scientific-ish, is often still not that scientific. It also suggests just how strong habit can be, and our belief in intuition. And, maybe more than anything, it suggests that in the heat of competition, the mental state of a given athlete can be fragile. Brandon McCarthy told us there were times when a particular pitch in his arsenal just became unavailable. McCARTHY: Mentally, you just couldn’t imagine throwing that pitch where you wanted. In McCarthy’s case, it was his fastball. The problem started when he was pitching for the Los Angeles Dodgers and followed him, off and on, to the Atlanta Braves. McCARTHY: I mean, your brain just — I couldn’t — I would lay down. You close your eyes and try to picture throwing that. It truly felt like your brain went in a Tilt-a-Wheel and you just couldn’t, you couldn’t picture it. No matter how hard I tried I couldn’t imagine doing it. It just went haywire. So when it would happen in a game, you would try and throw everything else to make something work and keep going as long as you can. But you’re very aware that you’re, you’re now trying to run a race except you’ve lost one of your feet. I was convinced early on it was a mechanical thing and it feels like it’s something physical that eventually becomes mental and then you just can’t see otherwise. So I really — I don’t know. I just know I’m fortunate that it happened late enough in my career that I could get past it, or at least work around it. Most of the best athletes in the world are are the ones who can control something in their mind just a little bit better than everybody else can. They can be physically gifted, able to do certain things that others can’t, and that last bit is just how much better they are mentally in some capacity that we haven’t figured out. I asked McCarthy how much of that mental advantage lies in the ability to self-diagnose in the moment. McCARTHY: —is how quickly he fixes something where most everybody else spirals, and it turns into an okay outing or a poor outing, his turns into a just a less-great outing, because he fixes the little thing that’s going wrong. And then even if it’s still not great it’s much better and then by the next start he fixes it again. That’s the diagnosing and the ability to fix immediately that the brain and physical ability to do that is very rare. DUBNER: Did you pick his brain when he was a teammate of yours? MCCARTHY: As much as you can. But one thing I’ve noticed when you talk to players who are really, really great and they’re historically great, is a lot of them can’t explain the things that they do. That’s why a lot of them make for bad coaches. I’ve had Greg Maddux in different camps with me before and, “How do you throw your changeup?” And it’s, “I grip it like this and I throw it.” Well, thank you. That’s not — it wasn’t of any help to me. But in his mind, it makes complete sense. Bob Tewksbury, the former pitcher and now mental-skills coach, argues that the ability to self-diagnose, and self-correct, in the moment, is among an athlete’s most important tools. TEWKSBURY: That’s the ability to have consistent performance. And what I mean by that is, you’re not always going to go out and perform well every game. What happens to athletes is they get to that situation and then they don’t know how to manage themselves out of it. There’s a lot of great “five o’clock hitters” — guys that hit the ball very far during batting practice, but can’t hit in the game. And there’s a lot of pitchers who pitch no-hitters in the bullpen and can’t take it with them across the lines. I asked Tewksbury to explain how a pitcher like him, in the heat of competition, could get himself back in synch if his mechanics started to go haywire. TEWKSBURY: So, my mechanics — you step back with your left foot; you rotate your right foot adjacent to the pitching rubber; your hips turn clockwise toward third base; you lift up your left leg; as you do that, simultaneously your hands are together at about the waist, waist to the shoulder height. Then your hands: as your body starts to go forward toward the mound, your hands separate with the ball coming out of your glove. Your body continues to glide toward home plate. Your left shoulder should be in line with your target as your arm takes its arc and path and gets into a position to throw. Now your body is square to home plate, your left leg has hit the ground, your left knee is bent, and the arm continues its arc, and you throw the pitch to your intended target. So, there’s a feeling that happens with that. When that is all in synch, you know that the ball can be located at your intended spot. And what if the ball doesn’t hit your intended spot? TEWKSBURY: So, say I throw that pitch, and I bounce it in front of home plate. That tells me that my body was too far in front of my release point, so that the only place the ball would go would be down. Conversely, if my body was lagging, or if my arm was lagging, the ball would be high. Once you know how your body responds, you’re able to make that correction. Simple, right? And remember, you’re not just throwing the ball into space; you’re throwing to a supremely tuned and muscled opponent gripping a long piece of hardwood, preparing to hit the ball as hard as he can right back in your direction, from just 60 feet, 6 inches away. So what do you do, in that moment, if your mechanics are off; if your confidence abandons you; if the only thought in your mind is that your next pitch is about to be crushed? TEWKSBURY: What you do is you delete the thought. I’m going to just change the channel. It’s as if I’m watching this bad channel, I’m going to change it to ESPN. Delete the thought, take a breath, and then reframe that thought or use an anchor statement. TEWKSBURY: Taking a tongue depressor time out. I tell pitchers to tape two tongue depressors together, put it in your back pocket, and when things get tough on the mound, call a timeout, go back behind the mound, clean your spikes, or make pretend you clean your spikes, and that allows you more time to take your breath to refocus. That’s a lot better than going around the mound, walking around the mound, rubbing up the baseball, because your behavior is really adding to your frustration. You’re not doing anything to slow down. And slowing down your mind is almost always a good thing. When he coaches athletes, Tewksbury uses a simple, four-step mantra to get their mind right. Step one: slow down. Step two: breathe. Seriously — under pressure, it’s easy to forget to breathe. Breathing is important, and it helps you slow down. Step three: engage in some positive self-talk: “I got this.” Step four: focus on the task at hand. There, now you’ve got it: Bob Tewksbury’s recipe for success in athletic competition under pressure. There’s just a few seconds left on the clock. One team trails by a single point, and they’re lining up for a game-winning field goal. The kicker goes through his mental preparation: he breathes; maybe he invokes a mantra; he focuses on the task at hand. And then just as the ball is snapped, the other team has called a time out. This is how you ice the kicker. The opposing coach wants to freeze the kicker out of his routine; he wants to make him think a bit more about the enormity of the circumstance. Icing the kicker has become a standard move in these situations and occasionally it yields results: in the Eagles-Bears playoff game a couple weeks ago, the Bears’ kicker was iced and he missed the kick. But overall, statistically, is icing the kicker effective? MOSKOWITZ: It’s certainly the conventional wisdom. That, again, is the sports-loving Yale economist Toby Moskowitz, who covered this phenomenon in his book Scorecasting. That professional kicker, it turns out, was none other than Robbie Gould, whom we heard from earlier. GOULD: You’re just always thinking of ways to make yourself better. Gould prides himself on mental toughness and mental preparation. This includes practicing, alone and with his team, for any game-time possibility — including being the kicker who is getting iced. GOULD: We’ll actually line up the field goal, snap, hold, but won’t kick it. So, you go through your entire routine, whether it’s the head coach calling a timeout to ice you, whether it’s a bad snap. These are all situations that come up that you have to be aware of. Part of that awareness is the particularly intense pressure of the position Gould plays. Let’s say you kick the game-winning field goal — you’re the hero. And if you miss it? GOULD: I don’t get another chance to get that play back. I have to wait for the next week. Some players, like wide receivers, defensive backs, they have 70 plays a game, so if they screw up they can go right back to it. Well, as a kicker, you have to make them count, because the point totals in the National Football League are staggering to the point of how many close games there are. Gould just finished his 14th N.F.L. season, and his second with the 49ers. GOULD: Yeah, I played 11 with the Chicago Bears. I played one with the Giants. The Bears, remember, were eliminated from the playoffs this year when their kicker was iced, and missed the game-winning field goal. Gould, meanwhile, had another excellent season this year for the 49ers: he made 33 field goals and missed just one, though he did miss two extra-point attempts. His team, meanwhile? It was a mostly-dreadful season, marked by injuries and losses. So what happens to Gould next year? GOULD: You never know. You can be here one day and gone the next. I got cut in Chicago on Labor Day weekend after making the team. It’s just how it is. DUBNER: Had you missed a couple in the game? GOULD: I missed a couple in preseason, but it was just a lot of different things. Salary-cap issues. I had a big cap number that year. DUBNER: What’s the most you’ve ever earned in a year? GOULD: $4 million. This is a business. This is not a college football scholarship. It just isn’t. It doesn’t matter what round you’re picked in, it doesn’t matter how much you’re making, how old you are in the league, how experienced you are. Every day you have to earn your keep. Of all the mind games a professional athlete must master, this is perhaps the most difficult: how to sustain your career once you’ve reached the elite level. Once you’ve realized that, as good as you may be, there are 100 people nearly as good — maybe even better — who can’t wait to take your place. The life of a professional athlete is relatively short; if you’re lucky enough to be paid well, you have a relatively small window of time to take advantage. And the people who pay your salary — well, they’d be very happy to pay someone else less. So, coming up next time on Freakonomics Radio, we get into perhaps the toughest competition in all of sports. We’ll start with the management side. We’ll hear from team owners and league officials from the big team sports, like Major League Baseball, as well as newcomers, like the U.F.C. We’ll hear their dreams of expansion, their excitement over legalized gambling, what they hate about their own sports, what they think is the sport of the future, and where the money goes. Freakonomics Radio is produced by Stitcher and Dubner Productions. This episode was produced by Alvin Melathe, Anders Kelto, and Derek John, with help from Matt Stroup, and Harry Huggins. Our staff also includes Alison Craiglow, Greg Rippin, and Zack Lapinski. Our theme song is “Mr. Fortune,” by the Hitchhikers; all the other music was composed by Luis Guerra. You can subscribe to Freakonomics Radio on Apple Podcasts, Stitcher, or wherever you get your podcasts. Robbie Gould, professional kicker for the San Francisco 49ers. Kerri Walsh Jennings, three-time Olympic gold medalist in beach volleyball. Shawn Johnson, four-time Olympic medalist in gymnastics. Steve Levitt, professor of economics at the University of Chicago; Freakonomics co-author. Brandon McCarthy, former professional pitcher and current front office executive for the Texas Rangers. Toby Moskowitz, professor of economics of Yale School of Management. Doug Pederson, head coach of the Philadelphia Eagles. J.J. Redick, professional basketball player for the Philadelphia 76ers. Mark Teixeira, former professional baseball first baseman. Bob Tewksbury, mental skills coach for the San Francisco Giants; former professional pitcher. Scorecasting: The Hidden Influences Behind How Sports Are Played and Games Are Won by Tobias Moskowitz and L. Jon Wertheim (Three Rivers Press 2012). Ninety Percent Mental: An All-Star Player Turned Mental Skills Coach Reveals the Hidden Game of Baseball by Bob Tewksbury and Scott Miller (Da Capo Press 2018). “Winning Isn’t Everything: Corruption in Sumo Wrestling,” Mark Duggan and Steven D. Levitt, The American Economic Review (2002). “Testing Theories of Discrimination: Evidence From the Weakest Link,” Steven D. Levitt, The Journal of Law and Economics (2004). “Racial Discrimination Among NBA Referees,” Joseph Price and Justin Wolfers, The Quarterly Journal of Economics (2010). “Professionals Do Not Play Minimax: Evidence from Major League Baseball and the National Football League,” Kenneth Kovash and Steven D. Levitt (2009). “The Hot Hand: A New Approach to an Old ‘Fallacy’,” Andrew Bocskocsky, John Ezekowitz, and Carolyn Stein, MIT Sloan Sports Analytics Conference (2004). “Surprised by the Hot Hand Fallacy? A Truth in the Law of Small Numbers,” Joshua B. Miller and Adam Sanjurjo (2015). Next Post »Where Does Creativity Come From (and Why Do Schools Kill It Off)?